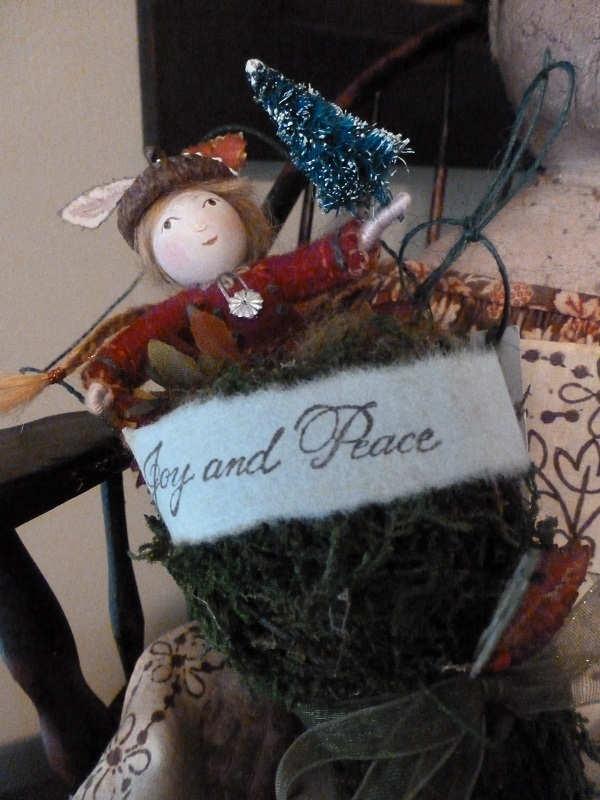 Peggy Flavin, dollmaker extraordinaire, sent me this wee fairy ornament that comes in her own pocket for hanging. The wee fairy decided to hang out on Izzy Hope's chair. I love her so much! The sign on the fairy's pocket says, "Joy and Peace." I'll be taking a break from blogging until after Christmas. I wish Joy and Peace to you all.